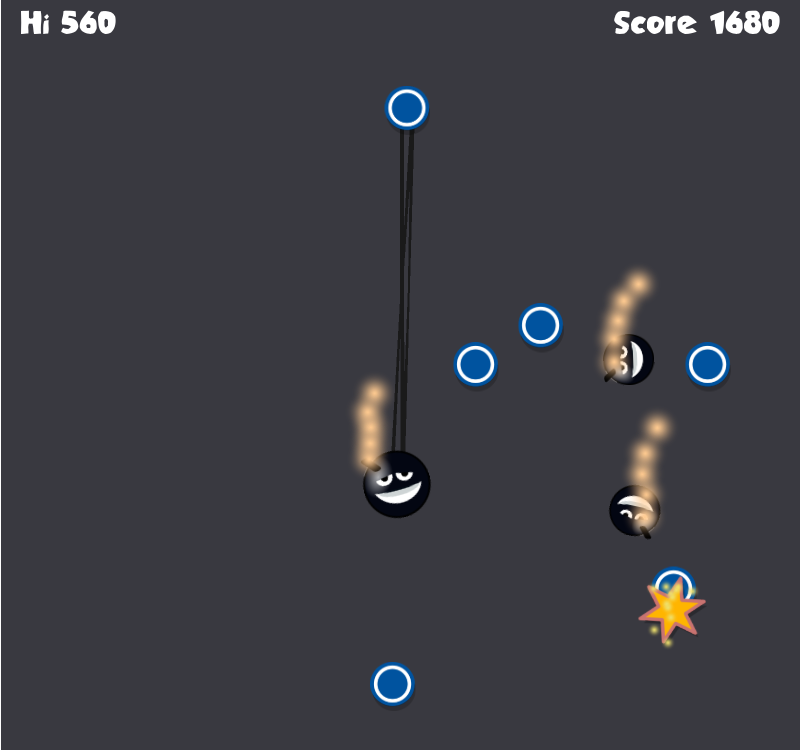 Simple but challenging action physics game. 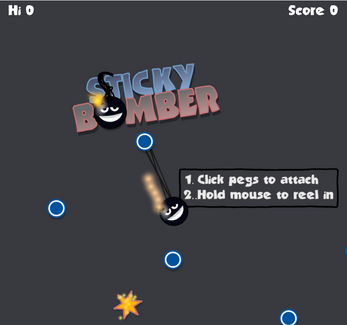 Control the sticky bomb as you navigate the level, trying to grab bonus stars as you descend. Watch out for other bombs out to get you! 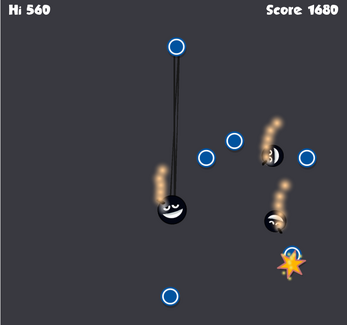 Controls: mouse - select pegs to attach. 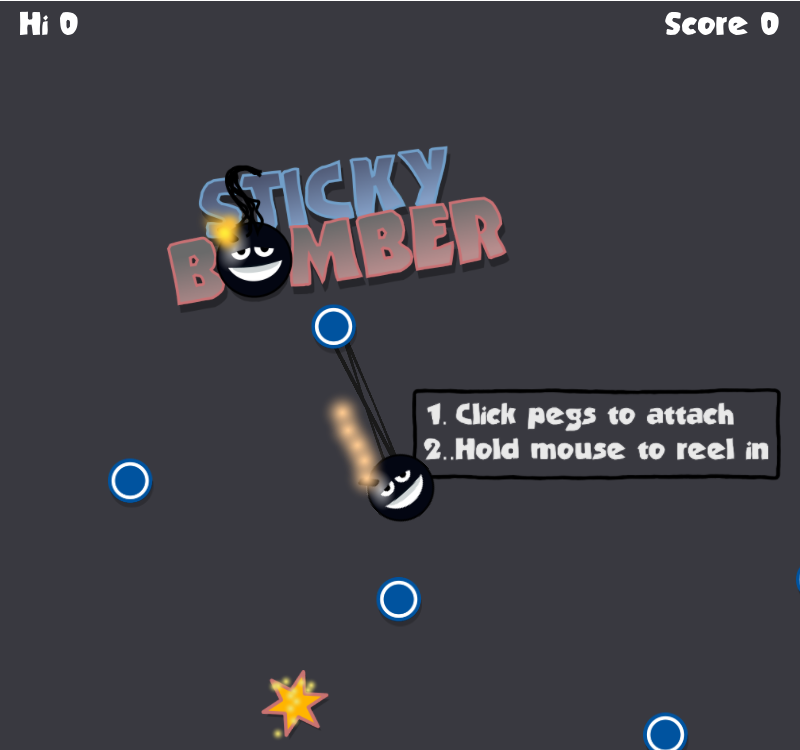 Hold mouse button anywhere to reel in the bomb.